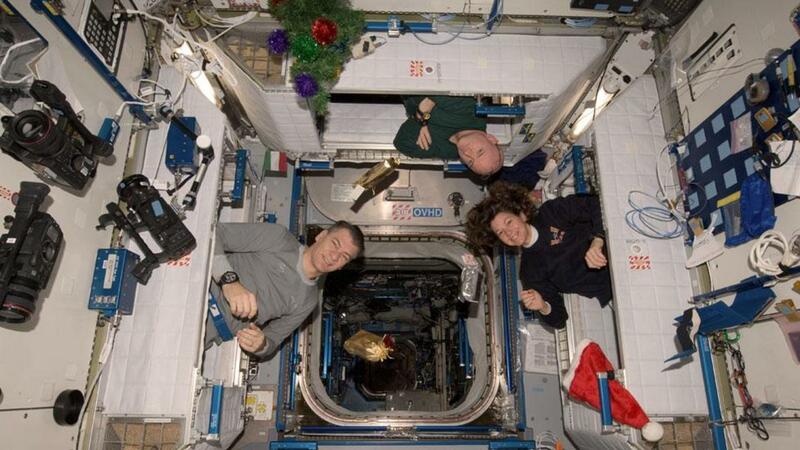 What is it like to spend Christmas in Space « Adafruit Industries – Makers, hackers, artists, designers and engineers! 25 December 2010. The day Santa Claus surprised not only children around the world, but also astronauts on board the International Space Station (ISS). In the American section of the station, European Space Agency (ESA) Paolo Nespoli was the first to wake. He opened the door of his sleeping compartment to discover a sock attached to the handle, filled with gifts. Then, over the radio, came the strains of Jingle Bells performed by Stafford and his fellow crewmember, Wally Schirra, on sleigh bells and harmonica – the first musical instruments ever smuggled into space (for more space music firsts see here).